You should really see this: https://act.represent.us/sign/badass-grandmas-spotlight?source=taf . RepresentUs has a smart plan to fix our broken political system. Check it out. Dina Butcher (a Republican), and Ellen Chaffee, (a Democrat), are two self-identified "badass grandmas" who have joined forces to put country over party. Together, they're leading the anti-corruption movement in North Dakota. These two respected community leaders hold vastly different political views. 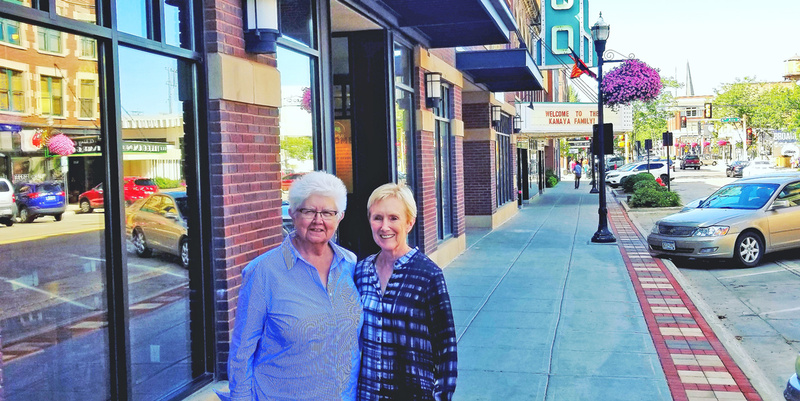 They had long admired each other, but had never met—until coming together to start North Dakotans for Public Integrity. Ellen Chaffee has worked in the North Dakota University system for over three decades. She served as academic Vice-Chancellor and President of two different universities. Her trailblazing career in higher education has changed the lives of countless students. Despite her expertise (and awards from people like the Governor and the North Dakota Women’s Network to prove it), Ellen was uncertain about North Dakota's future. She found that the group of friends she saw regularly for coffee felt the same way. 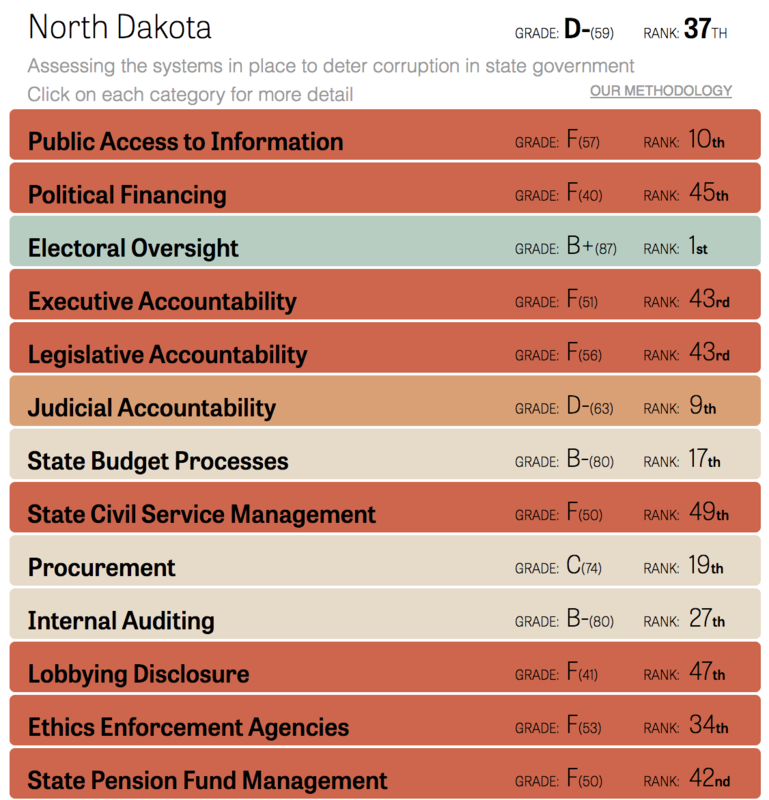 North Dakota is one of only seven states in the country without an ethics commission. The Center for Public Integrity gave the state a failing grade twice for its lack of transparency and accountability. “The last 10 or 20 years have been dictated by dark money and corporate power, to the point that the landscape of North Dakota is completely different, the dynamics of government and interactions among people are completely different – and too often not in admirable ways,” says Ellen. Ellen and her friends watched while ethical standards for government officials continued to erode. When they saw South Dakota pass America's first statewide Anti-Corruption Act, they saw a constructive path to the significant change they were looking for in North Dakota. 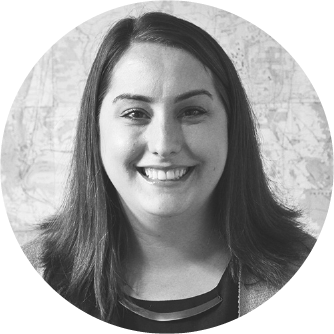 IM-22 was a citizen-led initiative to fix corruption in South Dakota by cracking down on lobbyist gifts, creating an ethics commission, and revising campaign finance laws. Suddenly, Ellen’s coffee crew had an outline for their own anti-corruption reform. They contacted the South Dakota campaign to learn more about their experience. The next step was to reach across the aisle. Enter Republican Dina Butcher. She served in multiple leadership positions under Governors John Hoeven and Ed Schafer, and knew the ins and outs of state government. 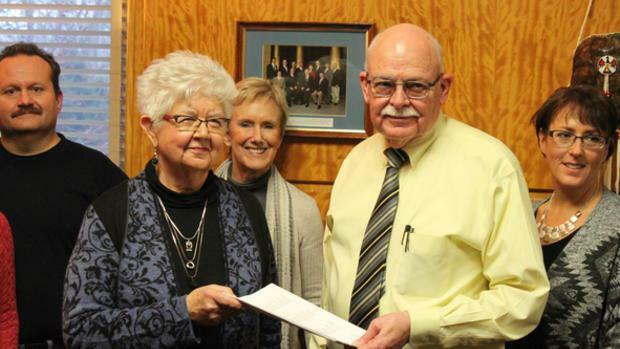 She was also named 2015 Woman of the Year by the North Dakota Women’s Network. She wasn’t happy with the direction North Dakota was going, either. It's clear why she was the first person Ellen reached out to build this nonpartisan anti-corruption initiative. “Dina is the absolute gold standard for people who care, and want to do the right thing in government,” Ellen says. Together, they began to build the local political power necessary to put an Anti-Corruption Amendment on the ballot. While their political ideologies stood in contrast to each other, the members of this coalition found common ground. They all agreed: the people of North Dakota deserve transparency and accountability from their elected officials. The coalition needed 26,904 petition signatures from voters to get their initiative on the ballot. Under the leadership of Dina and Ellen, they collected over 11,000 more signatures than necessary and on June 18th, 2018, they delivered 38,451 signatures from fellow North Dakotans to the Capitol. 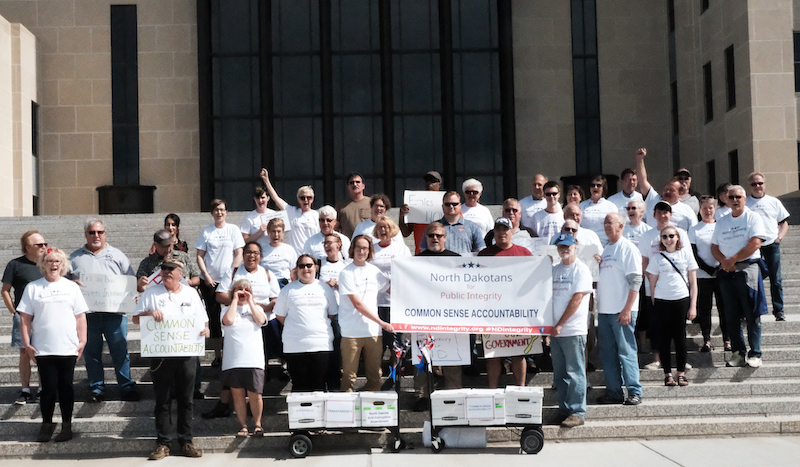 Together, they stood on the steps of the state capitol in Bismarck with their boxes of signatures to fight for government accountability. On July 23rd, North Dakota Secretary of State Al Jaeger certified the Anti-Corruption Amendment. The inspiring photo of North Dakotans for Public Integrity at the capitol is full of folks of all ages seeking a better future. For them, and for everyone seeing it, this movement is a beacon of hope for change and nonpartisan teamwork. The grassroots energy on this campaign is truly inspiring. North Dakotans crafted this policy, collected the signatures to place it on the ballot, and are leading this common sense reform. This Amendment forces the government to work for you and your family, not just the well-connected and powerful. Fight Corruption in North Dakota and Beyond! North Dakotans across the state are coming together to support the Anti-Corruption Amendment, and need your help to pass this crucial initiative to hold the government accountable. If you’re local, join a Represent North Dakota chapter in Bismarck or Fargo. If you don’t live near these locations, you can also start your own local chapter and bring the anti-corruption movement to your community. If you’d like to volunteer with us anywhere else in the country, let us know what matters to you.